Trade sites can often look pretty awful, because they are often created using templates sold by trade indexing companies like ufindus. 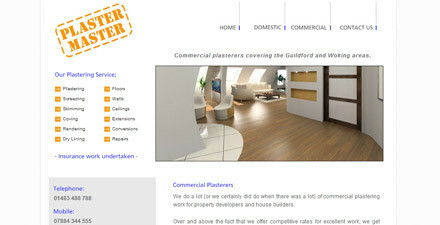 Despite their nasty looks, tradespeople can end up spending a lot of money to have their site appear on an index. These days, with the Google Local Business service, you can have good search engine positioning with a simple, well crafted brochure site. A four page site like this one doesn’t cost much, but can make all the difference to your business. It’s full of key terms and readable, friendly copy.